Easily remove the seat in seconds! 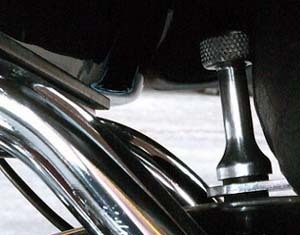 K-900: This 2” long extended knob allows you to getting rid of the hard to get at screw that secures the seat and requires a Phillips screw-driver (owners of Baggers or Tri Glides know what a pain it is to fumble with that screw). Replace it with this knob and you can easily remove the seat in seconds without tools. 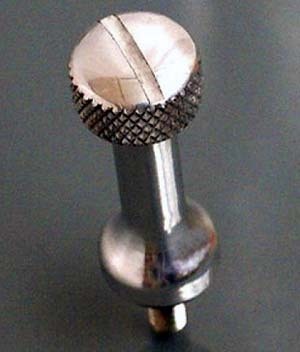 Knurled grip for finger use. 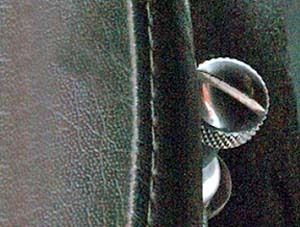 A slot to use a coin in to loosen if too tight. A rubber washer at base to prevent it from coming loose. Fits FLH/FLT Models including Tri-Glides.